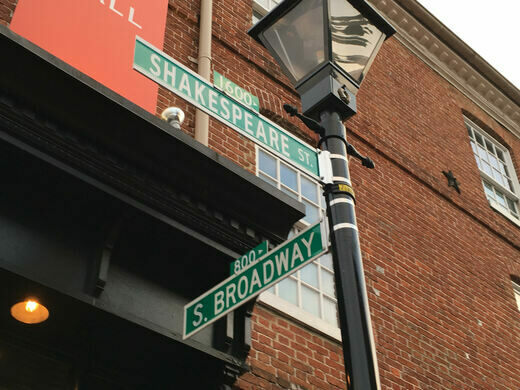 The next time you’re in Fell’s Point, Baltimore, stroll by the corner of Shakespeare and South Broadway. 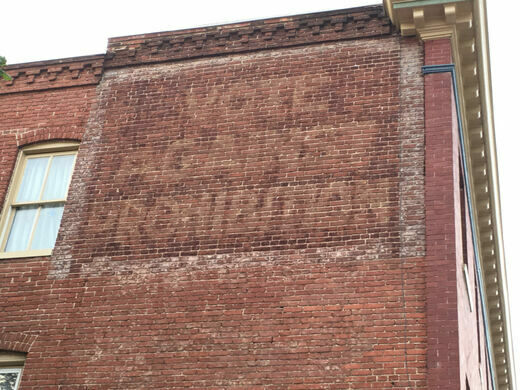 Once there, look up directly at the building across the street and see a cool, historical “Vote Against Prohibition” sign from the 1920s. 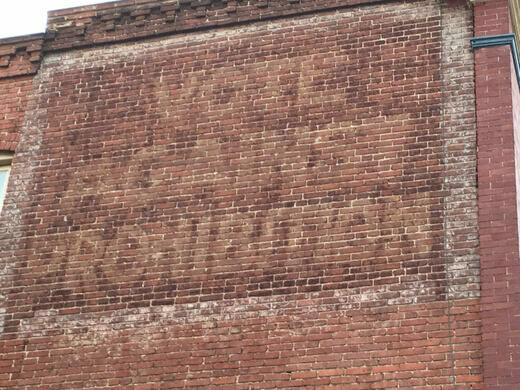 Though the elements have faded the sign throughout the years, this nearly century-old painted sign is still visible if you know where to look. 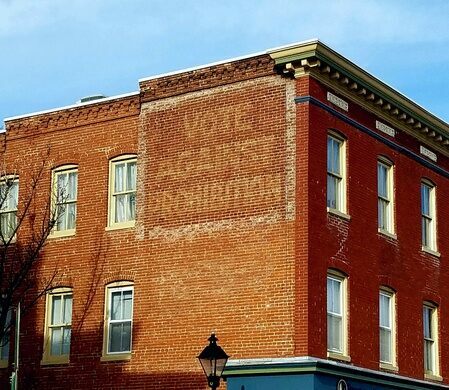 The weathered sign is a relic from an era when Baltimore, and most of Maryland, opted to defy the anti-alcohol laws that blanketed the United States from 1920 to 1933. Government and private citizens had little desire to hop on the booze-less bandwagon. 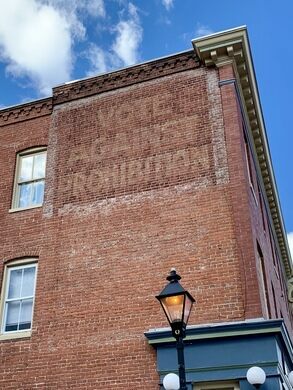 The state opted to defy the new prohibition legislation, and even fought against having to enact a state law that would bar its continents from imbibing. 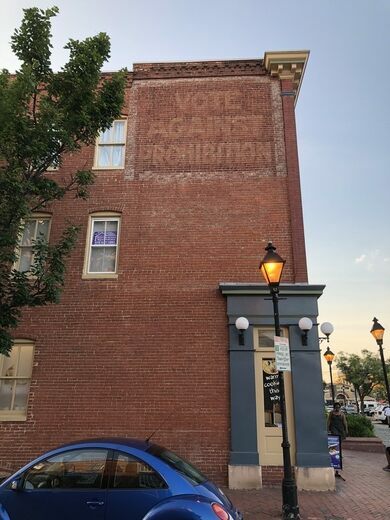 Alcoholic bootlegging businesses boomed, making Maryland one of the “wettest” states at a time when the rest of the country increasingly ran dry. 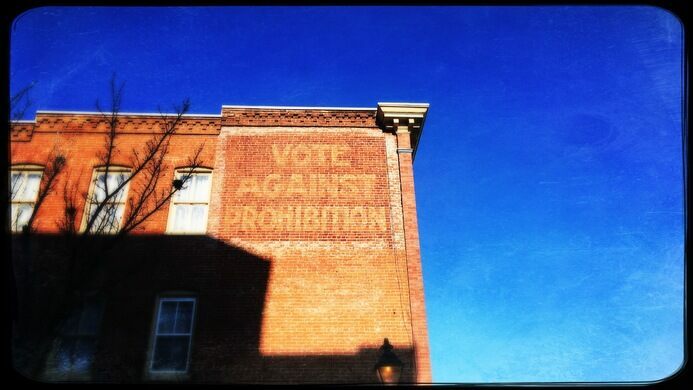 Baltimore in particular was an epicenter for back alley booze. It's right across from the town square. Watch for cars. This bug-eyed water wheel uses the power of the Sun to clean up Baltimore Harbor. 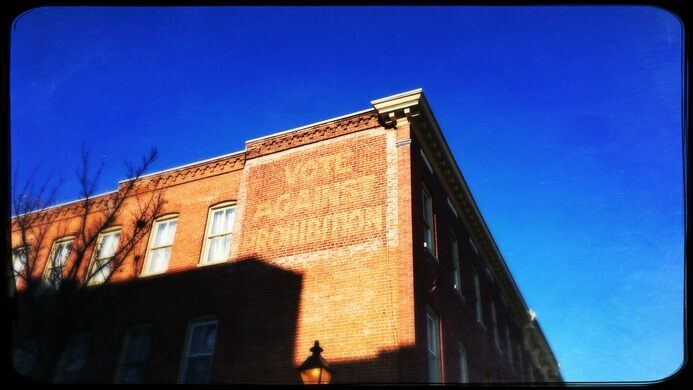 Artifacts fill the old headquarters of the hugely influential political movement to ban alcohol in the United States.